Kyoto Japan has Magnificent gardens spread around the city. 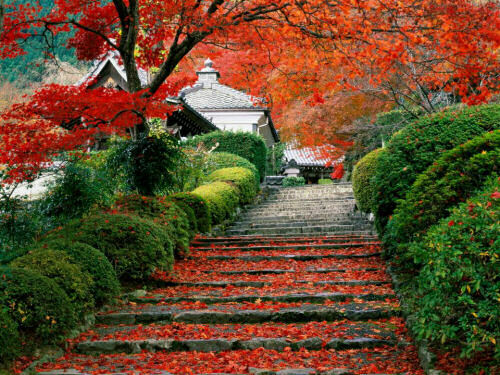 Kyoto Japan is jam packed with stunning Japanese gardens, and it is a must visit in any Japan itinerary. 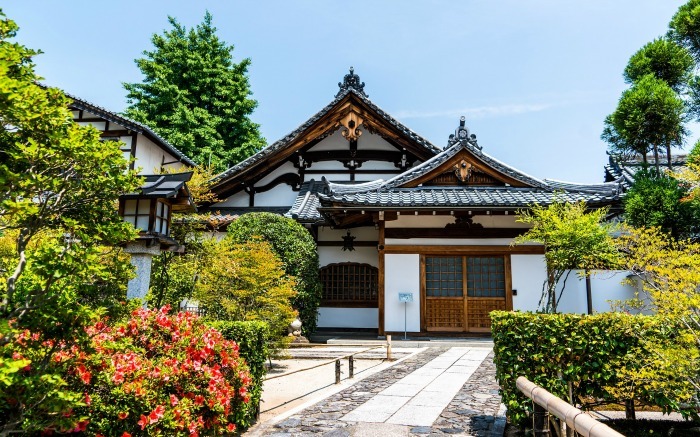 If you love beautiful gardens and large temples, this place needs to be on your travel bucket list. The gardens, often part of temples or old imperial retreats, are spread around the city. They are particularly beautiful in November, with the colorful autumn colors. The majesty is not just in the natural gardens, but also in the buildings that make up the gardens. 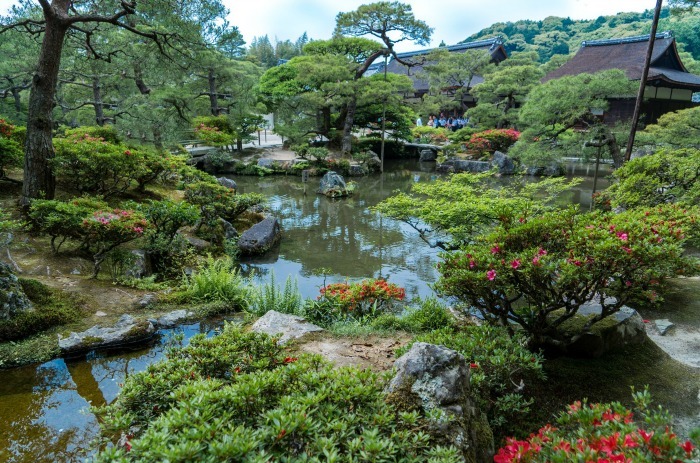 Here are more examples of the beauty of the Famous Gardens of Kyoto, Japan. This one is Gingkaku Ji Gardens. This beautiful view of some of the temples in Kyoto Gardens shows how well nature and architecture combine. Views of the rooftops of Kiyomizu Dera, in Kyoto Japan show how spread out the gardens are.